Wishing a very special day to a very special person. Happy Birthday! May you have all the fortune and strength to carry on in the game of life. Happy Birthday! 4 every falling star make a wish, 4 every friend give a kiss and 4 every year may the worse rest in peace. You’re simply the best(Melody)better than all the rest (Melody). Happyyyyy Birthdayyyyyy!!! Anger must left behind u, just don’t let it find you, cause love will not remain as long as you complain. Enjoy what it’s worth. Happy Birthday. May you live a 100 years with the same fun and attitude as you do now. Happy Birthday!! 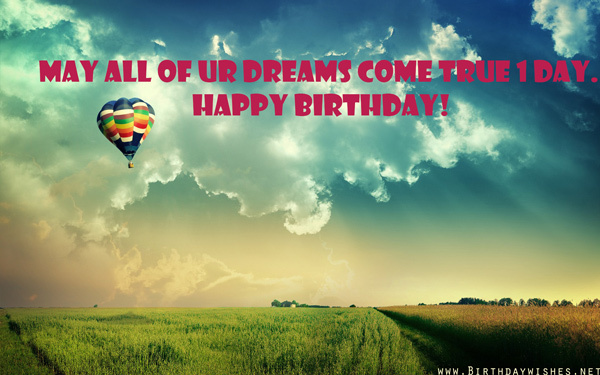 May all of ur dreams come true 1 day. Happy Birthday! Wishing tha most exciting, tha most fascinating and tha most arresting Birthday ever to the most overwhelming, unstoppable and inspiring person. The best r yet to come. Happy BDAY! A glowing star may always light ur path with hapiness. Happy Birthday! U r not getting older, u r just getting smoother. Best Bday man. HAVE THE BEST DAY EVER. Happy Bday!!! Consider today as a special gift, cause it’s the best bday gift. Happy Bday! Happy Birthday!!! Hope this year B even better than than the year be4. Have as much fun as u can get on ur Birthday, but go easy on it cause strange things will happen if u don’t. Happy Bday! May you live for a hundred yearz and may each year have thousand days. Happy Bday with all my heart!! Happy Bday! Just live your life to the maximum. Nothing more nothing less. Happy and again happy Bday! Hope this is the 1st of the many amazing Bdayz that r about to come! 2day is a big day for wild things so try having a big time. Happy Bday! Happy Bday and may all the wishes of the world follow you! I feel that you need to know how awesome you are how full of grace how charming you are and your endearing ways had i not met you i would not have seen the beauty of life i surely admit so on this day i want to say i wish you joy, endless, and peace my dearest Friend Happy Birthday. My wish for you is only this be happy forever and for sadness to miss every time it tries to come your way for joy to find you upon waking each day for your nights to be peaceful and your days to be a joy and your mornings so beautiful in a glorious way this is all i wanted to say my Dearest Friend Happy Birthday. I want you to realize that you deserve to be happy always. You deserve to smile and be full of joy. I am happy and honored to call myself your friend. And on your special day i want to say i hope that our friendship remains strong for many years to come and I get to share in many special memorable moments with you. Just like the one we will make today Happy Birthday my dearest friend. Many Happy Returns of the day. 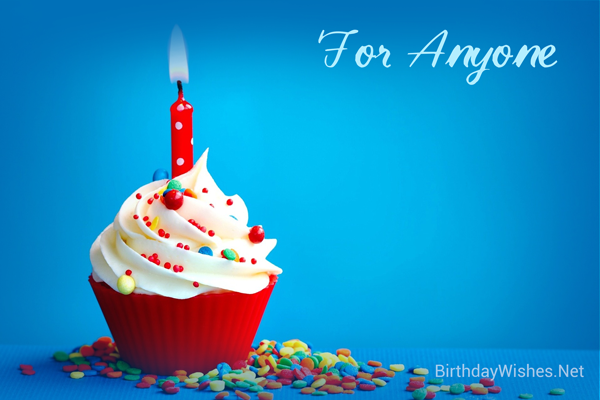 Check out this amazing collection of birthday wishes sms, the birthday wishes sms on this page incorporate the messages from these article, but feel free to add your own.